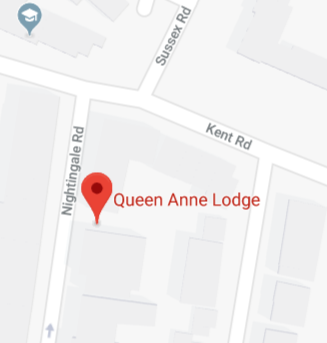 Queen Anne Lodge is a 40 bedroom nursing home, located in the heart of Southsea in Hampshire. Our team prides itself on providing the highest quality support to our residents, putting their happiness and well-being at the forefront of day-to-day care. Residential Care: this is for residents who need support with their day-to-day activities including eating, hygiene, and general welfare. Respite Care: for residents who need short-term (<8 weeks) of support, before returning to their own home. Nursing Care: we provide 24/7 nursing care to our residents with more complex medical needs. Our professional team includes trained nurses, carers, and other allied health professionals within the community. Dementia Care: we provide a dementia-friendly environment for individuals with mild-to-advanced dementia. In addition, all of our staff are trained to provide tailored care to individuals with dementia. 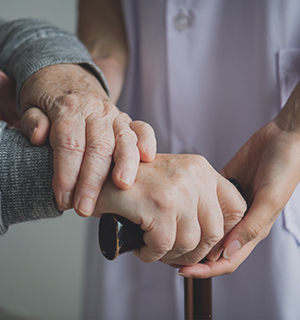 Palliative Care: we provide round-the-clock care for our residents with life-limiting illnesses, ensuring that they are pain free and comfortable. In summary, we are here to provide personalized care for you or your relatives. Please contact us to learn more about how we can help you today. Copyright © 2019 Queen Anne Lodge.